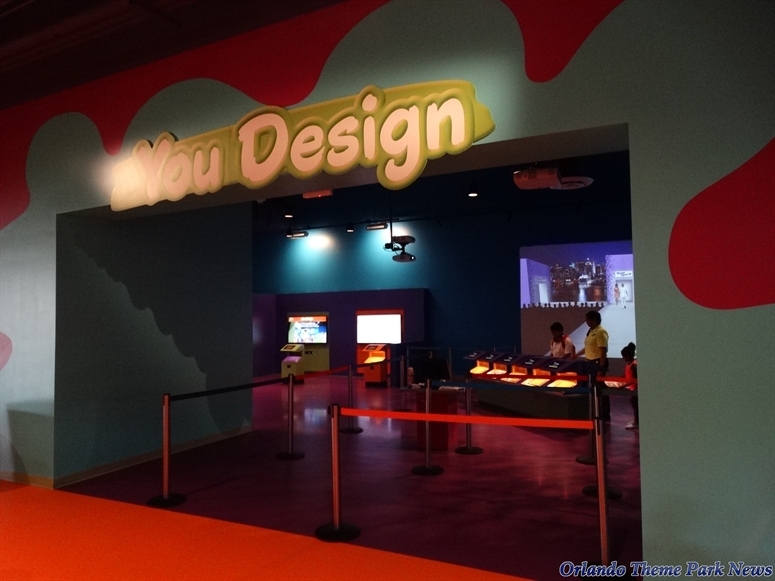 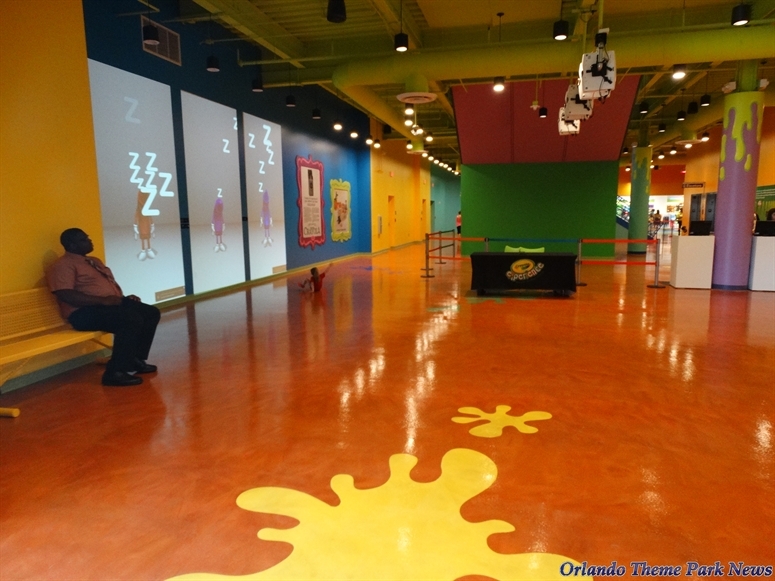 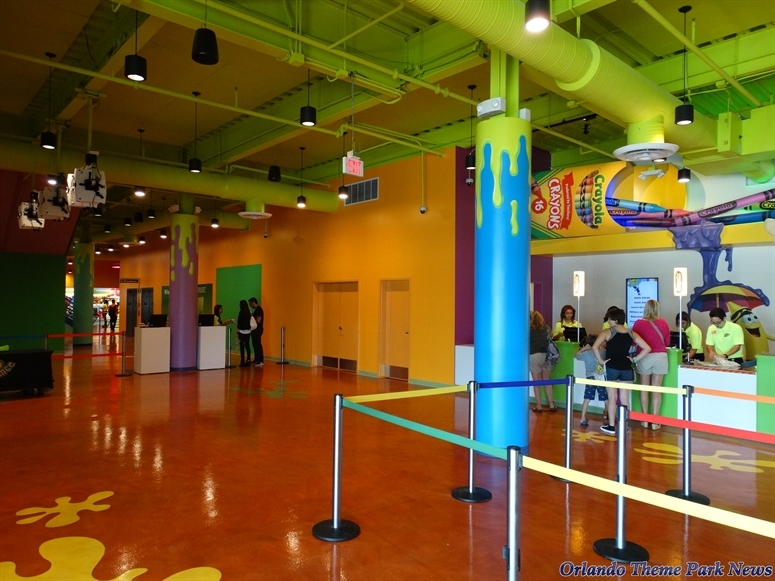 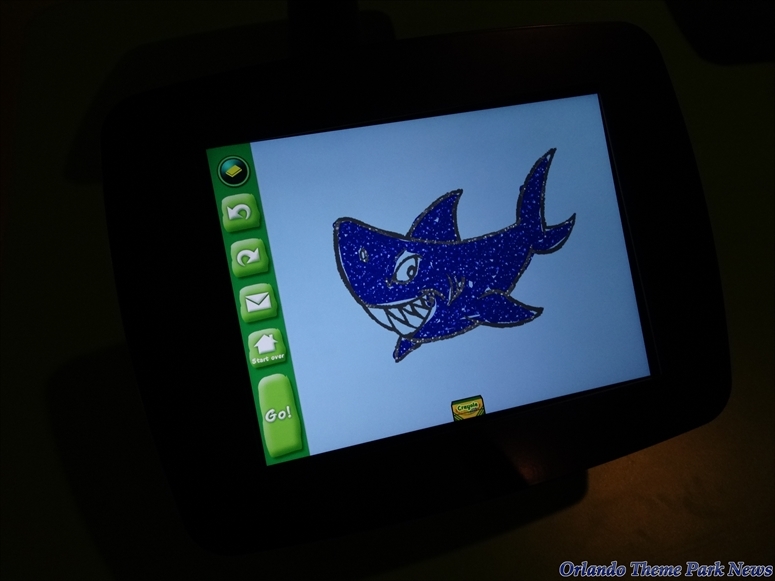 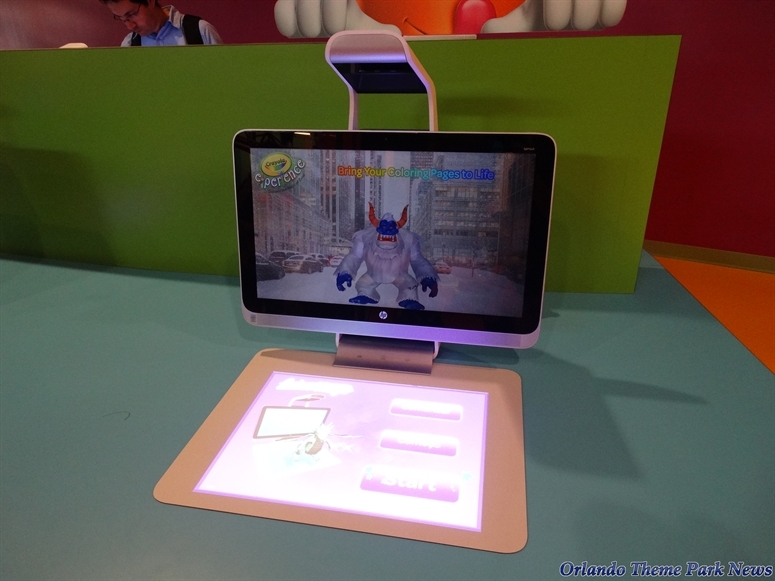 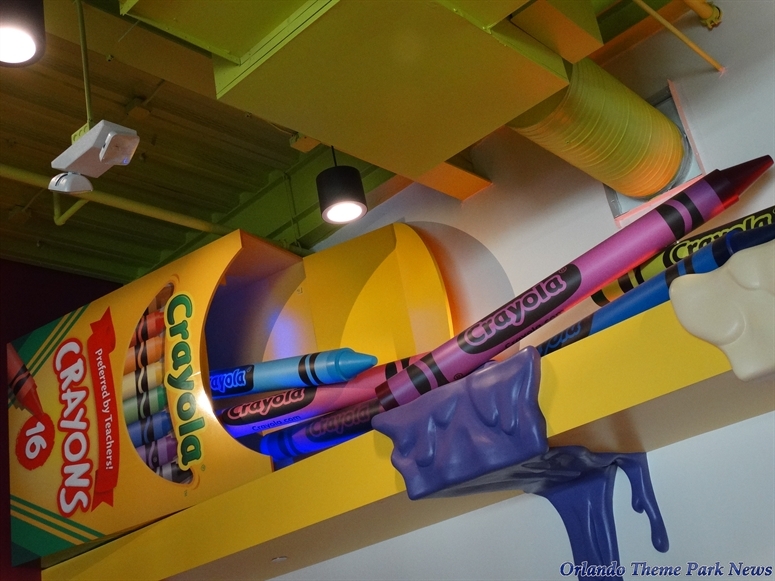 The Crayola Experience, Orlando's newest and most colorful family destination, opened today to a cheering crowd of hundreds of guests at The Florida Mall. 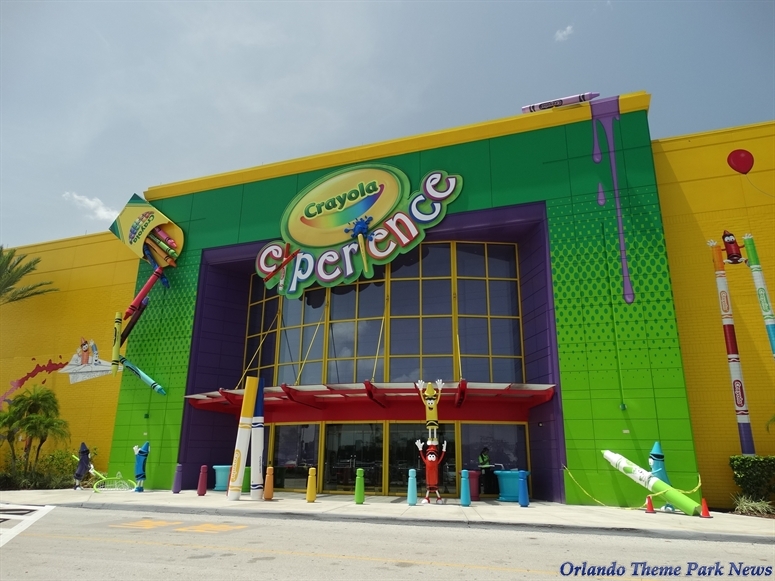 The attraction's General Manager, Scott Poling, served as master of ceremonies for the 9:45 a.m. ribbon-cutting, held in front of the facility's main entrance. 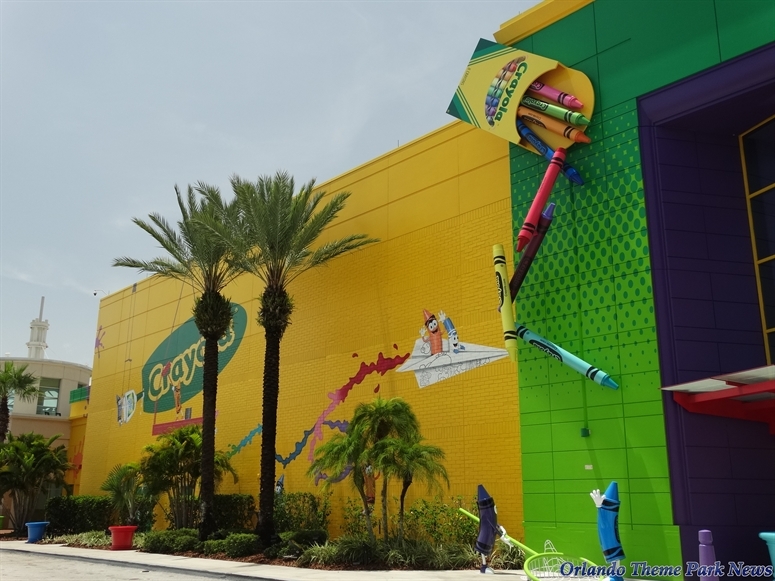 The exterior, which features a football-field sized bright yellow mural adorned with Crayola characters in various states of mischief, is an art piece in and of itself. 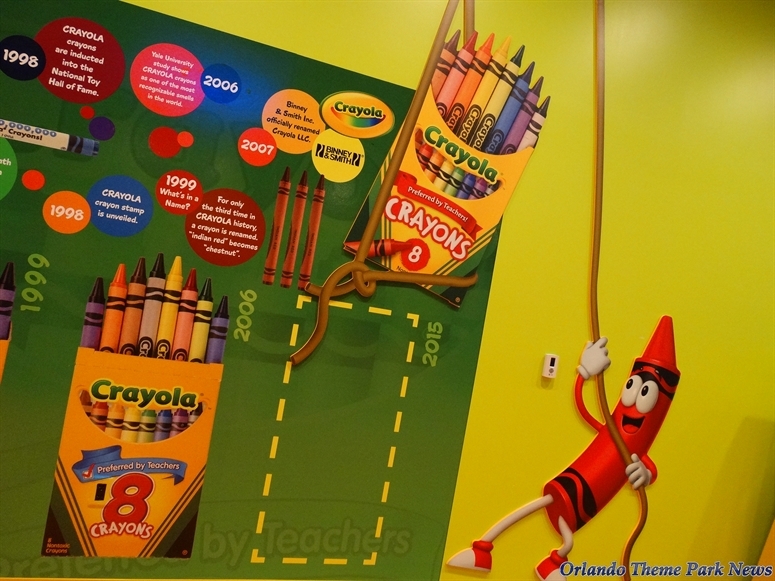 At the ribbon-cutting, Congressman Daniel Webster and State Rep. Victor Torres spoke of the brand's heart, thanked Crayola for its job creation and described how it will resonate not only with tourists, but with the family-rooted Central Florida community, while The Florida Mall's General Manager Brian Hanson noted how the attraction will enhance the mall's clout as a destination in its own right. 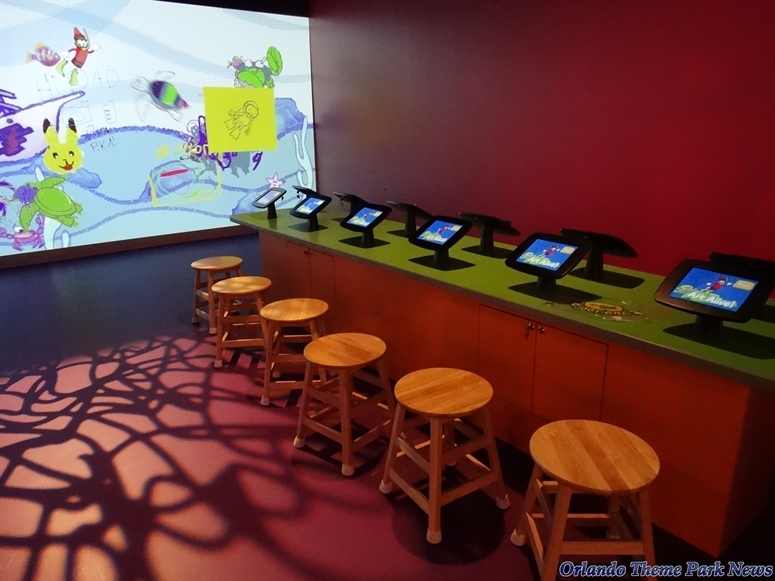 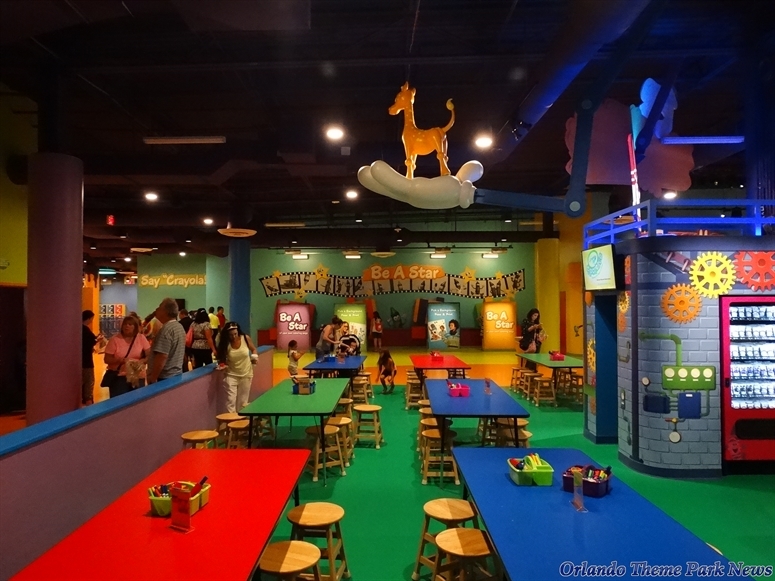 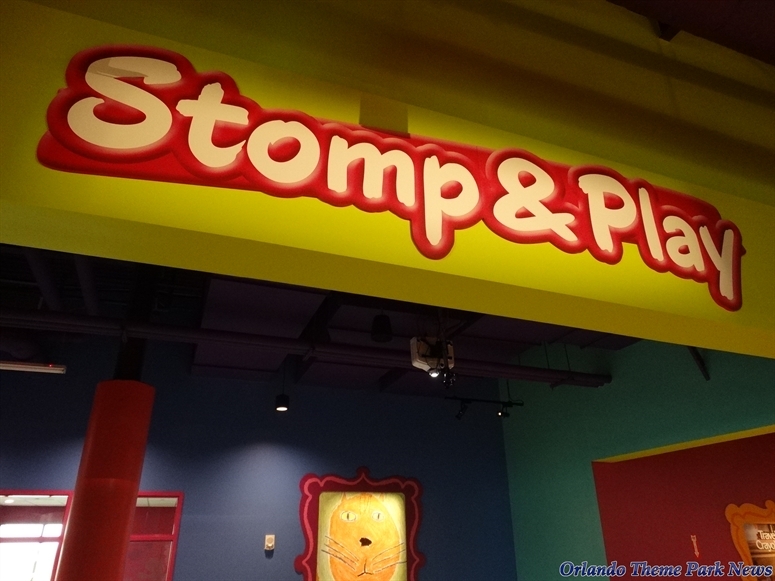 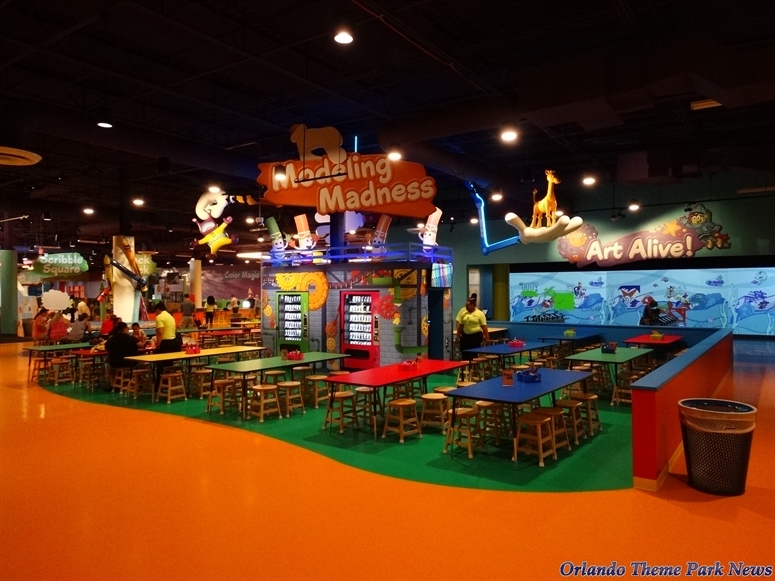 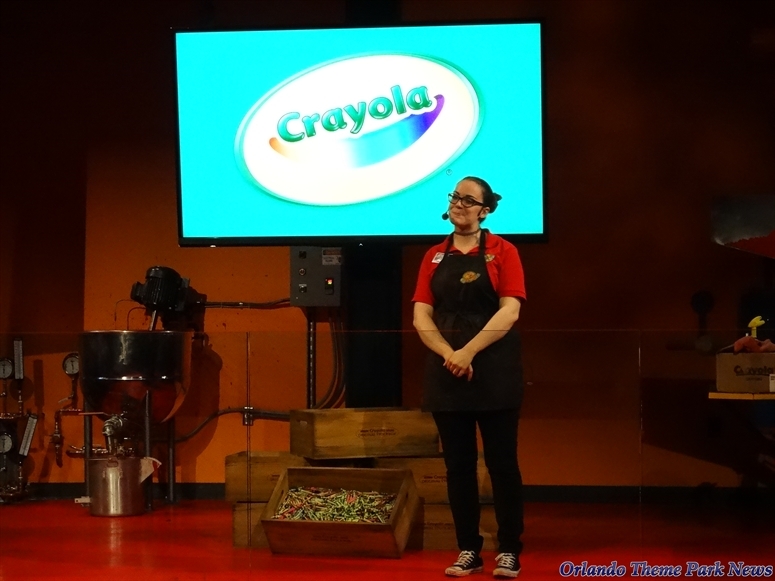 But at its core, this attraction is about "sparking and enlivening the creative spirit in the heart of children and, yes, adults, too," Crayola's President and CEO Mike Perry said to the crowd. 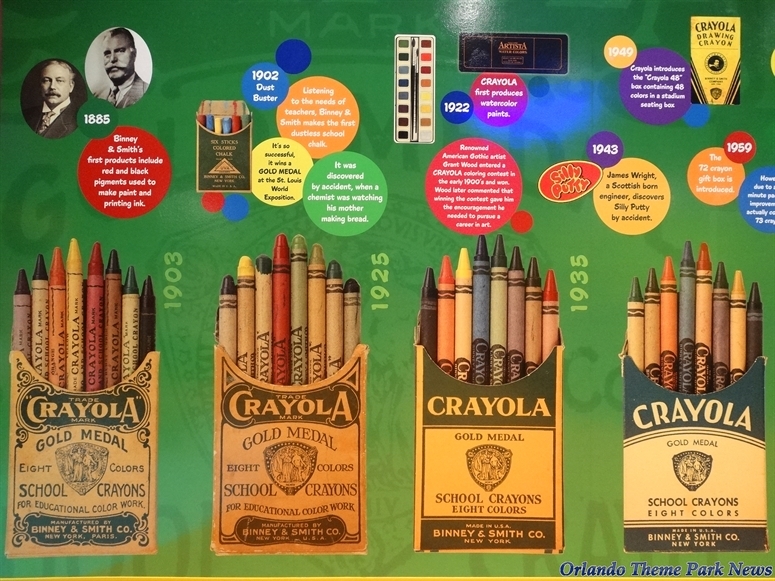 "For 112 years, we've been creating boxes (crayons, pencils, markers and paints) that enable kids to have these crucial, creative experiences. 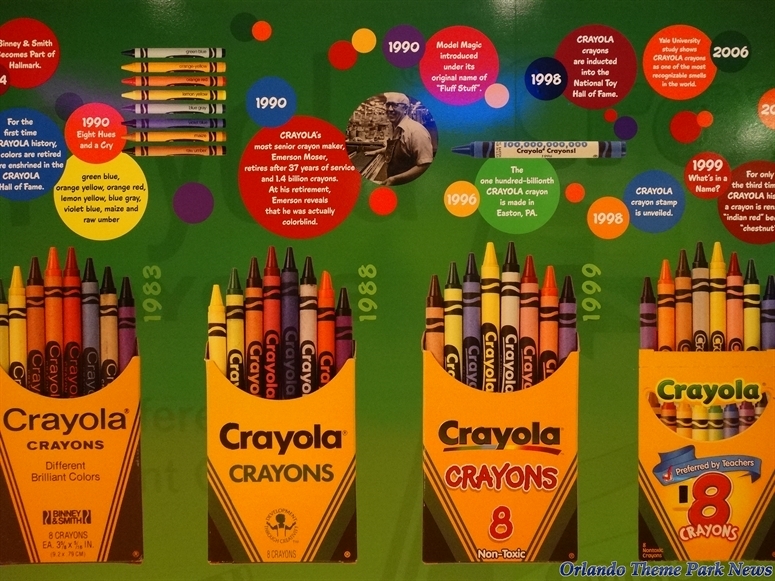 This is all of that, times a thousand. 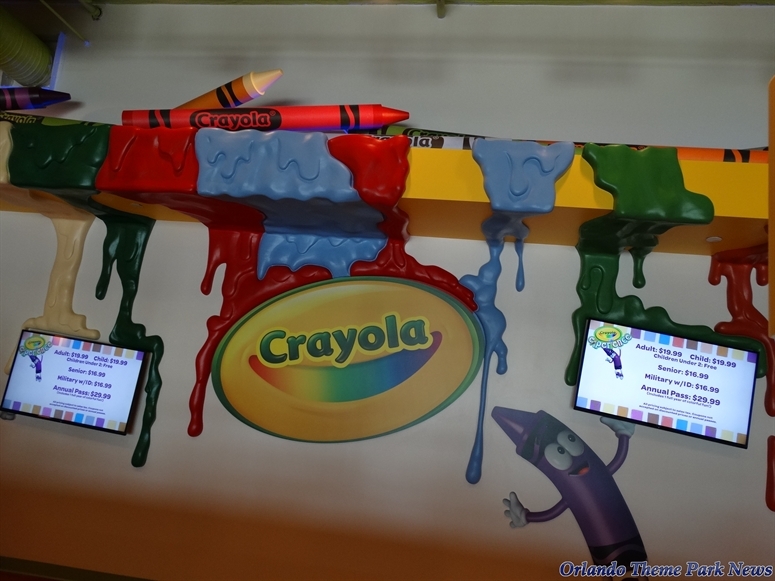 It's a larger than life expression of what this brand is all about. 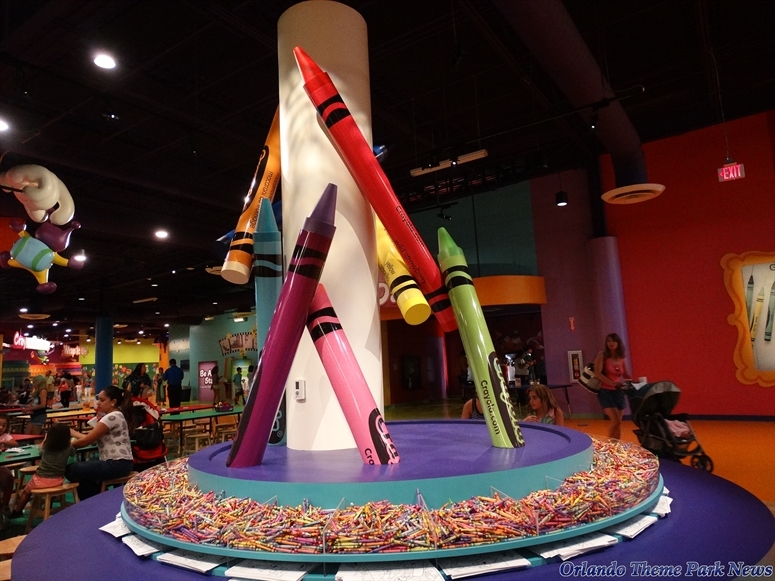 Creativity helps kids see beyond simply what is to what can be, and that's a beautiful thing in the life of a child." 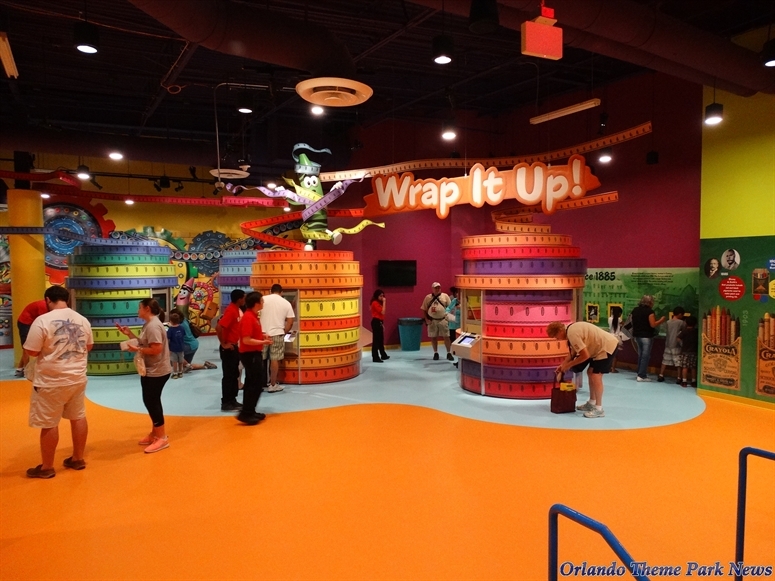 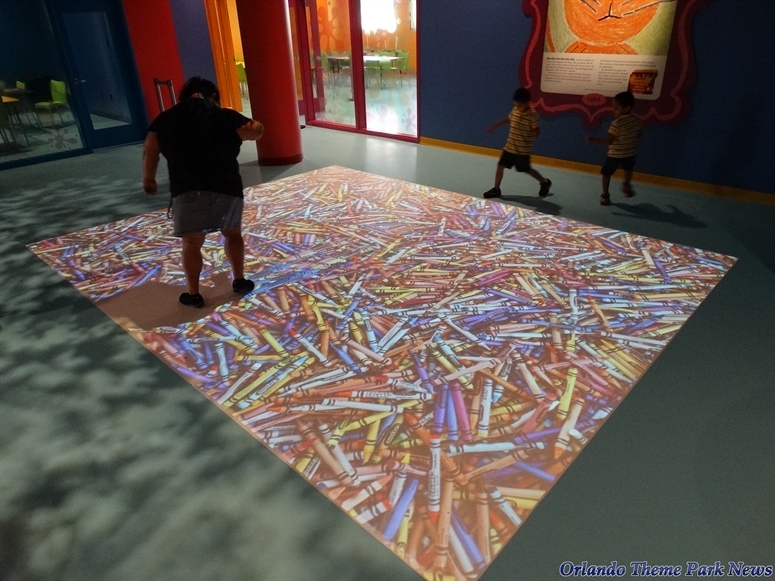 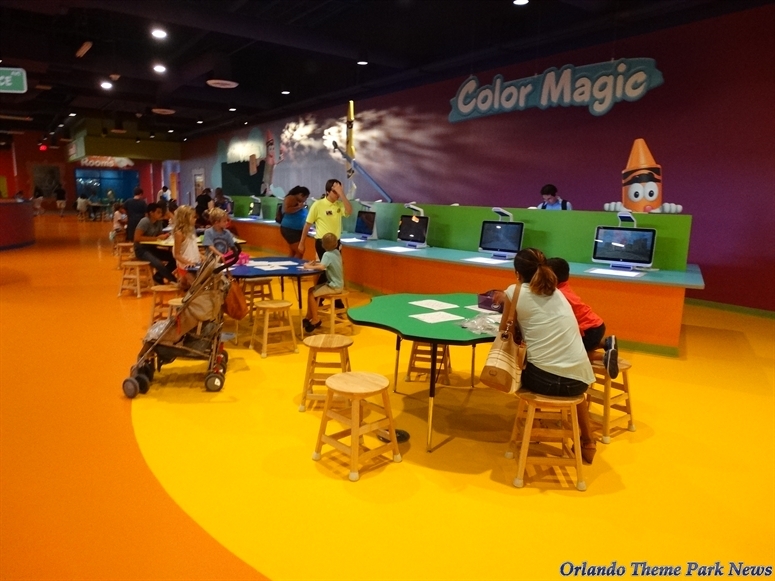 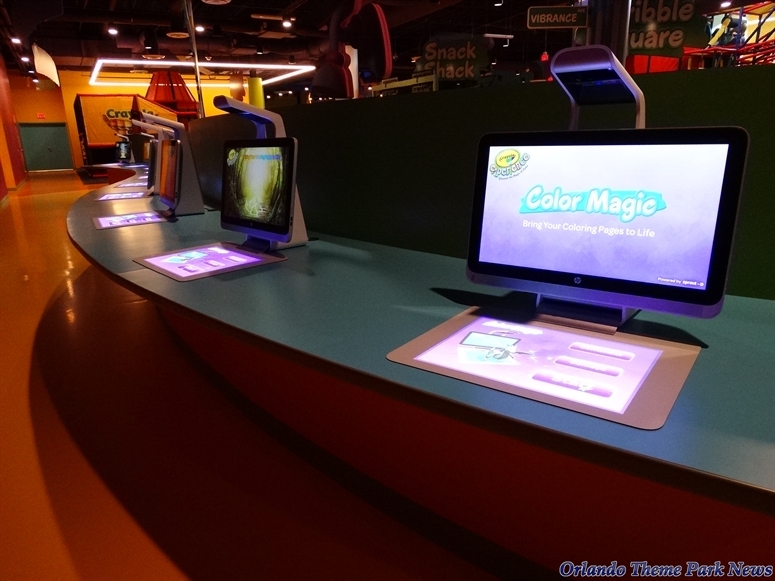 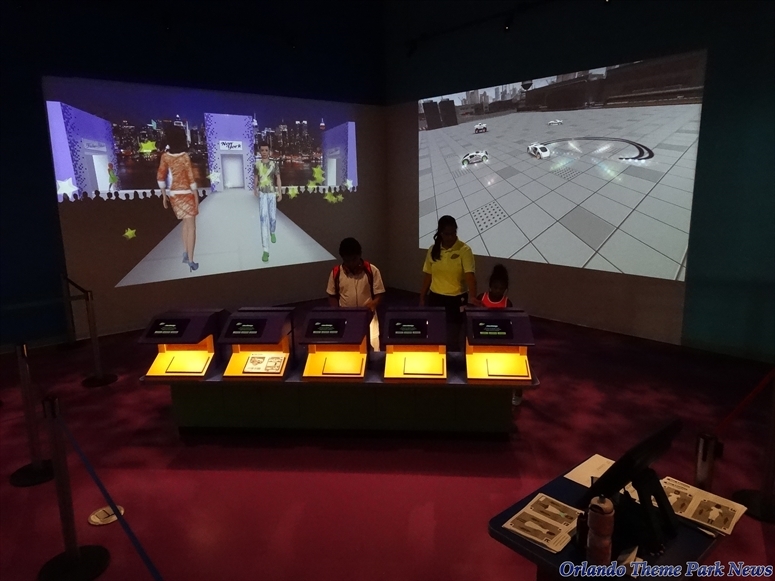 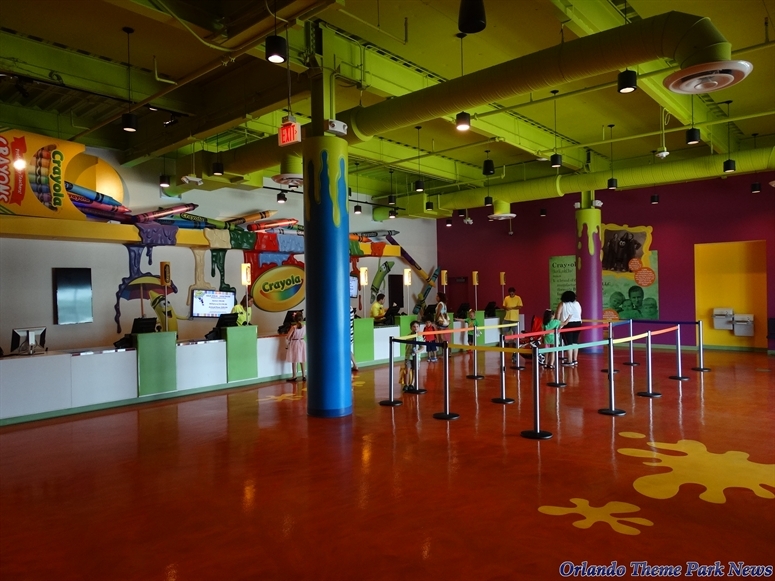 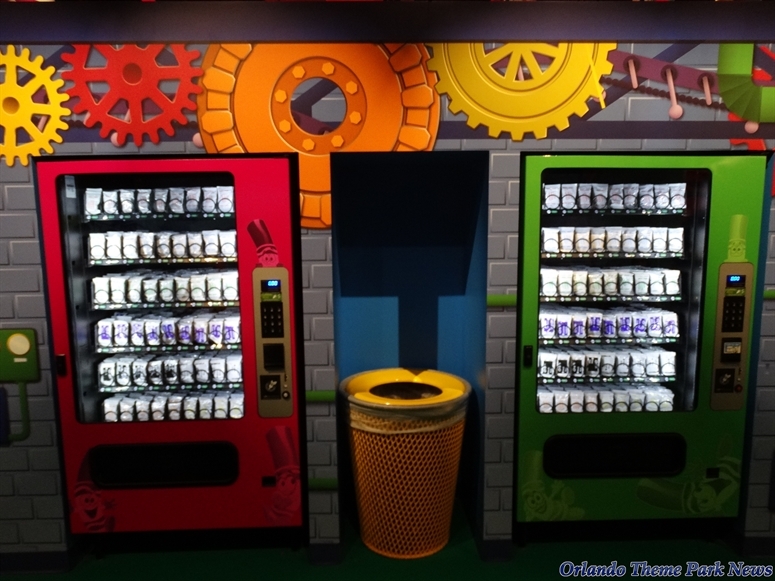 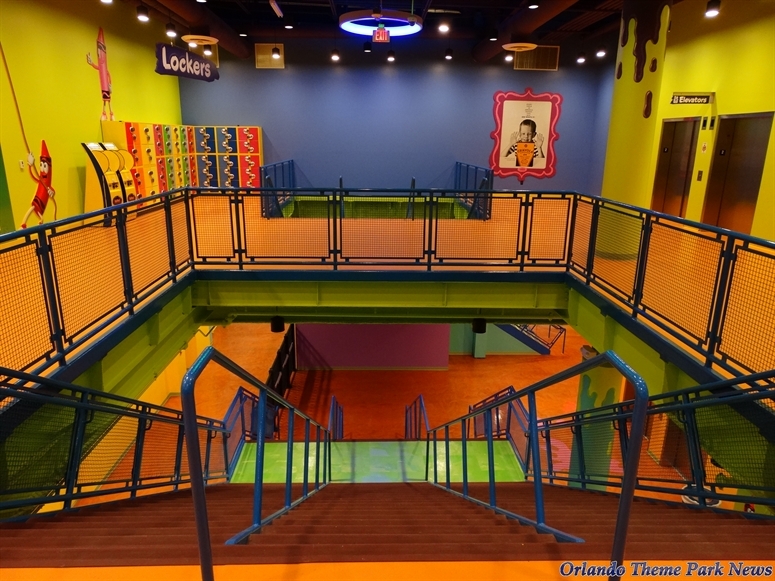 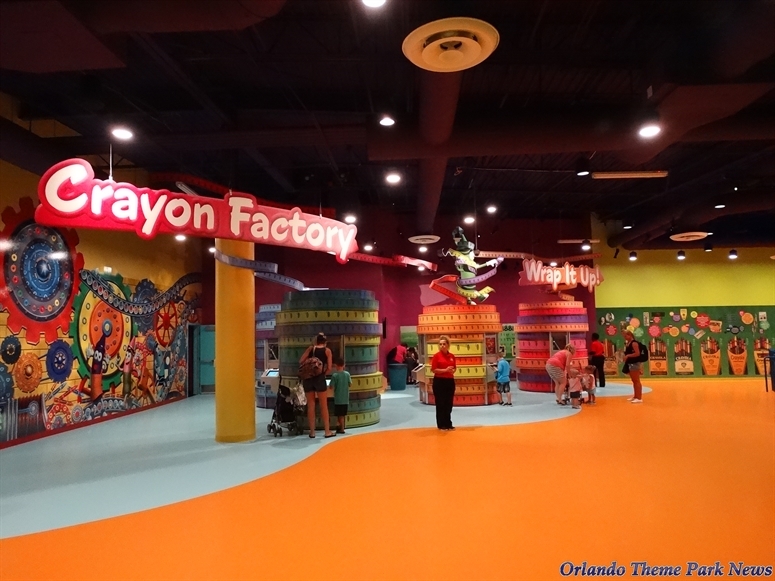 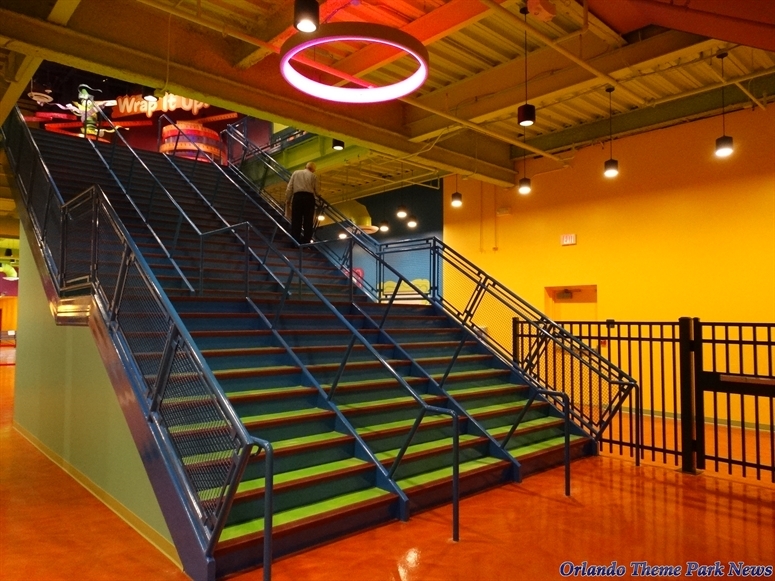 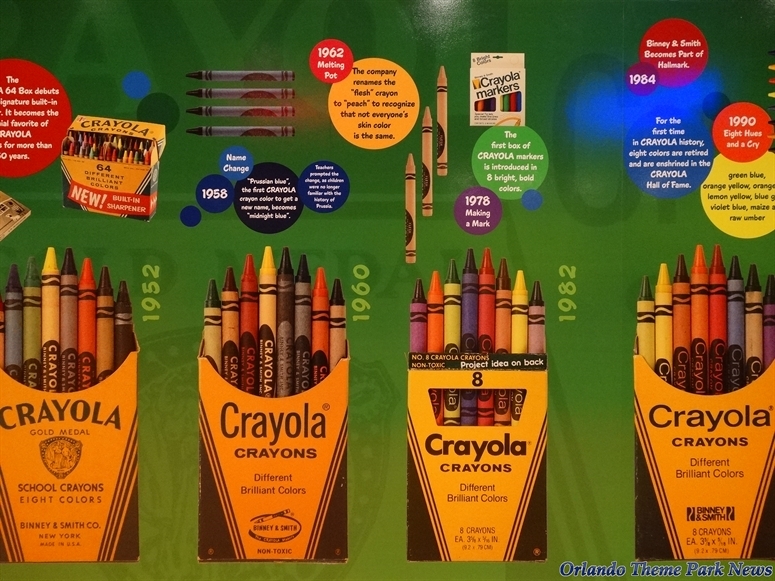 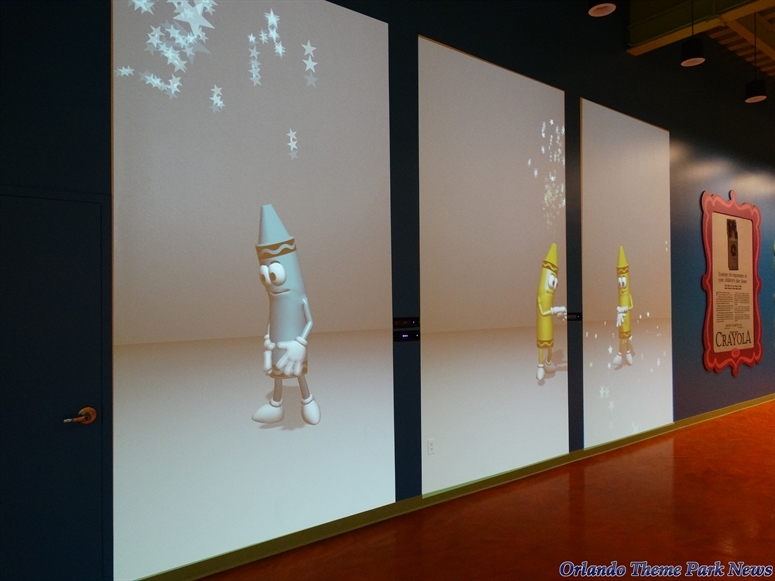 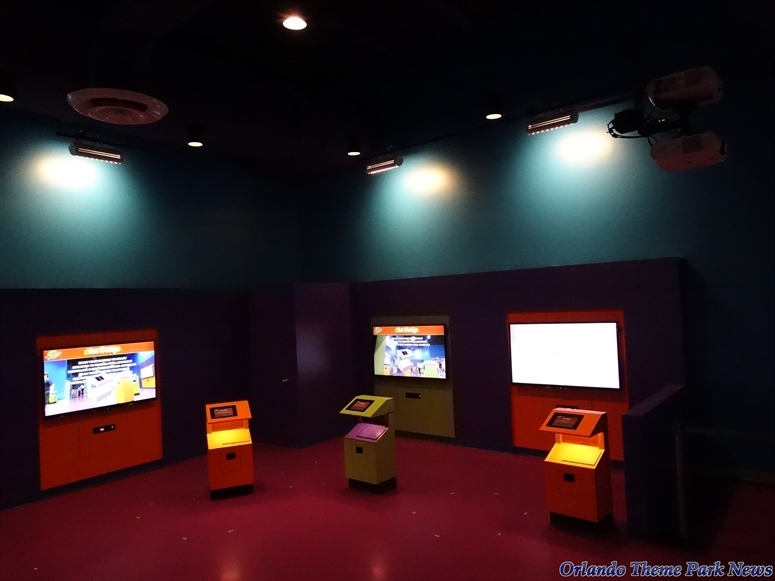 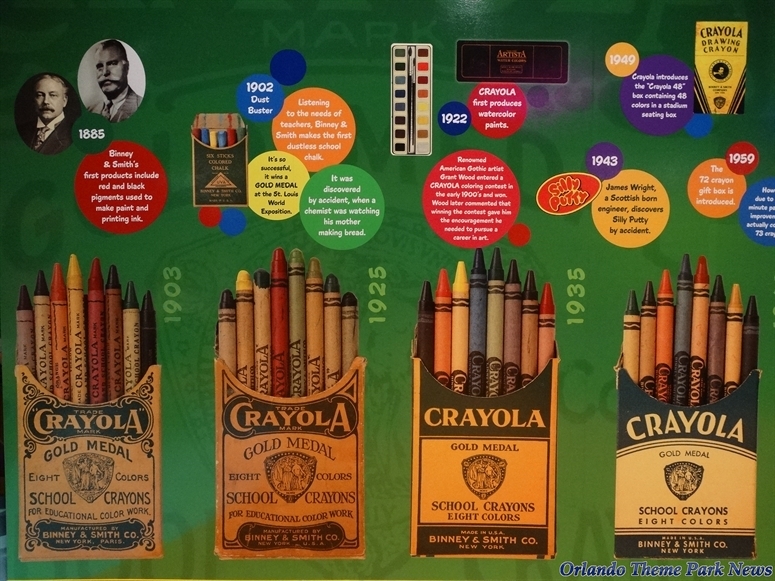 With a count of 8 - in honor of the iconic Crayola crayon box of 8 - the yellow, crayon-label ribbon was cut and Crayola Experience Orlando opened to the public. 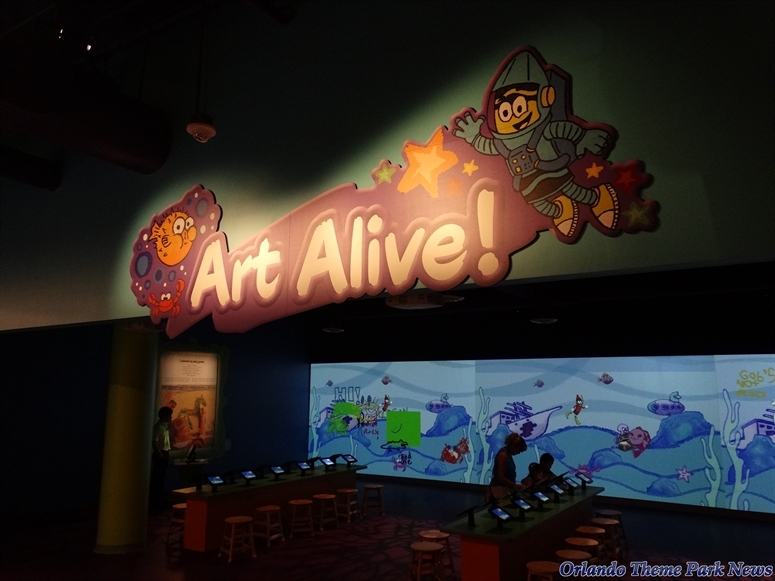 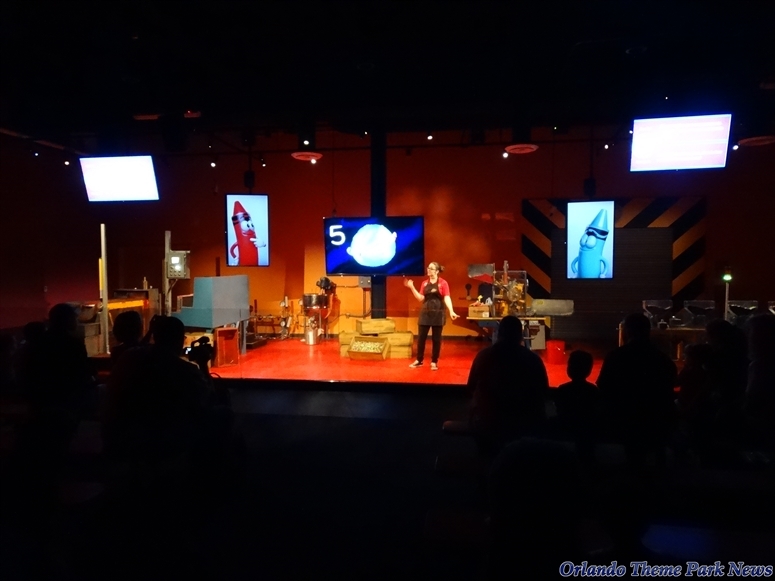 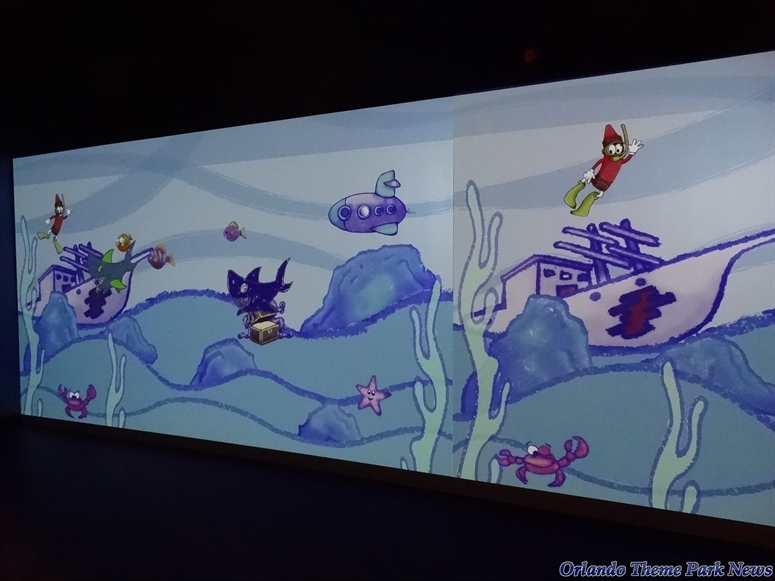 The Orlando Theme Park News Team was invited to check out the attraction a day before the grand opening of the attraction. 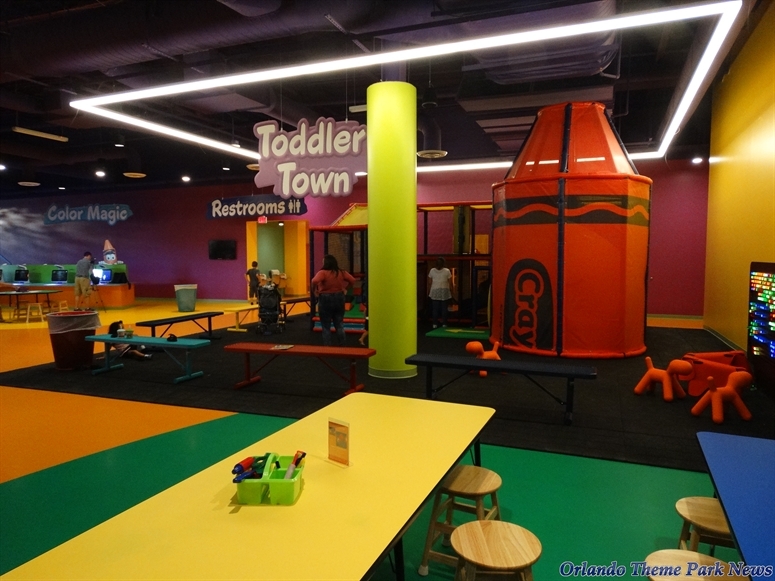 While this certainly a fantastic playground specifically designed for kids, even adults will find some of the activities to be relaxing (and quite enjoyable, to tell the truth).